River Island is well established as a versatile fashion brand that caters to all the latest trends. In house designers ensure that the various lines from the brand provide plenty of choice, incorporating classic lines and updating with ultra-modern fabrics and designs. 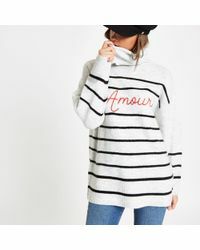 The knitwear line from River Island incorporates sophisticated styles in a variety of colours, from pastel pinks through to black and white. 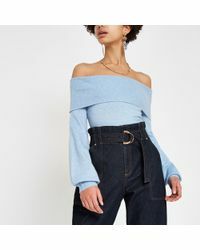 These are ideal looks if you're in need of everyday chic whether for work or play. 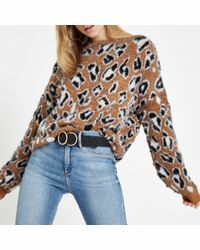 The knitwear line also incorporates some statement pieces, from knitted tunics through to motif jumpers and slogan styles.